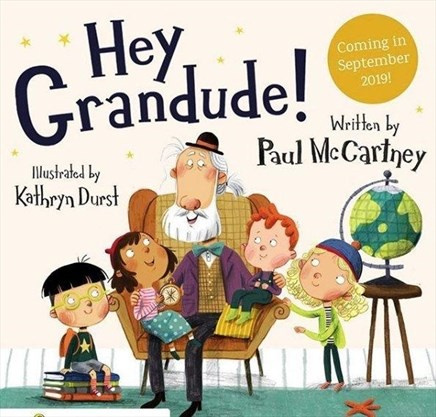 Paul McCartney, the former Beatle, wrote his first picture book, based on his experiences of being a grandfather. He says this book has a surprising topic ‘for grandparents everywhere’. The book follows the adventures of a magical grandpa, the eponymous Grandude, and his four grandchildren, who he calls his “Chillers”. Grandude is an “elderly, magical gentleman,” according to The Guardian. The singer-songwriter recently claimed his first number one album on the US Billboard chart for 36 years with his latest record Egypt Station. Pop music celebrities penning children’s books is nothing new exactly, but it’s usually a mixed bag. Madonna had The English Roses in 2003, and Bob Dylan had If Dogs Run Free in 2013. 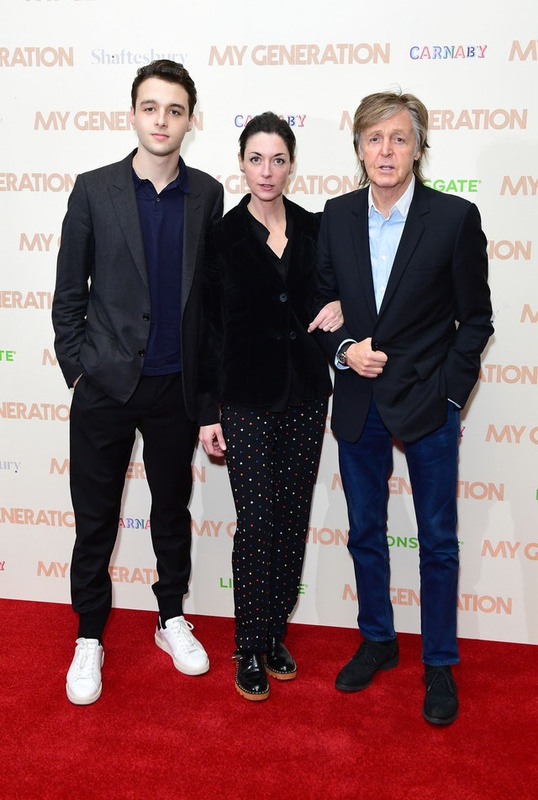 McCartney is the latest in a line of musicians to venture in to children’s publishing, with fellow former Beatle Ringo Starr and Rolling Stone Keith Richards also having released picture books with varying degrees of success. McCartney selected Durst's work based on samples he'd been given by her agent in England. She was up against about 10 other artists. Initially, Durst didn't think she landed the job. She'd sketched the drawings in November and it was six months before she got the news. And then she was told she couldn't tell anyone. “We both want to make an exciting and beautiful book that kids will want to read again and again!”, said Kathryn. The book will be published in hardcover under the Puffin imprint in the UK and the Random House Books for Young Readers imprint in the US. 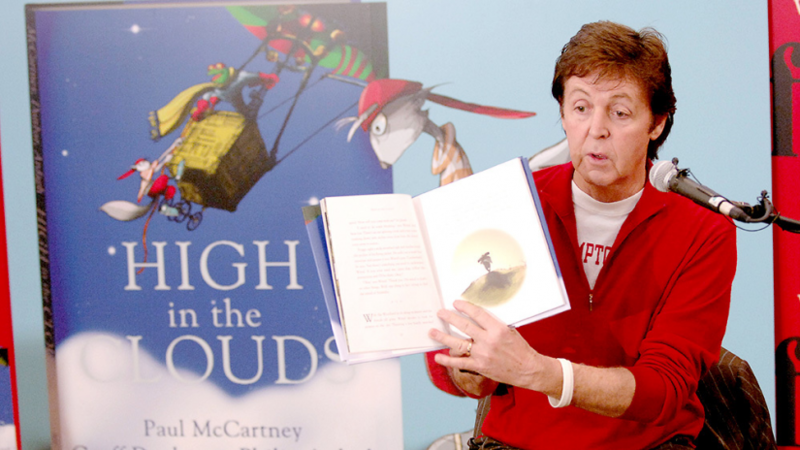 McCartney has previously put his name to children’s books when he teamed up with author Philip Ardagh and illustrator Geoff Dunbar in 2005 to produce the ecological picture book High in the Clouds, which followed a squirrel called Wirral and his attempts to win back his woodlands from developers. “I wanted to write it for grandparents around the world so they can have something to read to the grandchildren before going to sleep,” said the musician. Paul McCartney with his book 'High In The Clouds', 2005. Based on materials from TheGuardian. Title illustration: Paul McCartney with his book 'Hey Dude', 2018.